October 14, 2014 – One of the most popular ophthalmic frames of the season amongst Dolabany’s spectacle fans is the sleek Hugo from the 2014 Dolabany Eyewear collection. 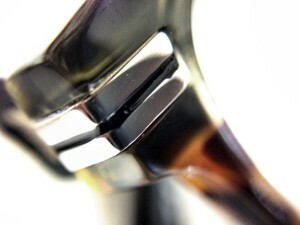 Just as many of their retro-styled eyeglasses, the Hugo is assembled by hand, a signature feature of the brand. The character of the Hugo is displayed in a thick, two-toned marble acetate material that allows for vibrant, rich colouring. Hugo by Dolabany is available in four distinct, masculine color combinations, embellished with two metallic details running parallel around the corners of the rectangular frame front. The Dolabany Hugo is sure to impress. The Hugo in Blue/Demi screams electric! Streaked with hints of grey and turquoise, it is perfect for the adventurous male in search of an eclectic look. The Hugo in Black/Demi has a classic, smooth finish in bow-tie black with hints of marigold adorning the inner lining of the eyeglasses. The Hugo in Tiger Olive is a traditional tortoise around the exterior of the frame, while the interior has a charming, seagreen complexion. 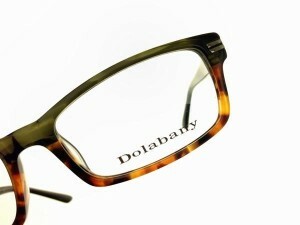 For the hipster in everyone, the Dolabany Hugo in Green/Demi is recommended. These eyeglasses add a hint of earthy, hunter green on top with a signature tortoise pattern at the base and temples, adding a look of sophistication. Click here to see all available colors.